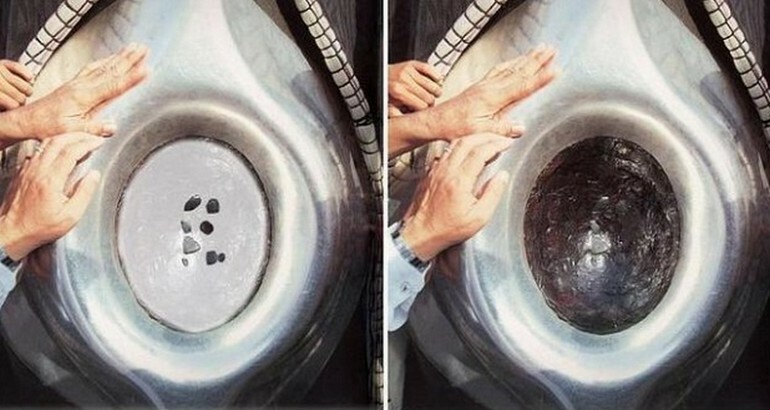 The picture above shows the Hajar al-Aswad (The Black Stone), which is set in the eastern corner of the Ka’bah. Tawaf begins and ends facing this sacred stone. Throughout the ages, countless people including many of the Prophets (upon them be peace), the Prophet Muhammad (ﷺ) himself, the Sahabah (may Allah be pleased with them), pious personalities and millions of Muslims who have performed Hajj and Umrah have placed their blessed lips on it. When the Quraysh demolished the Holy Ka’bah in order to reconstruct it, a dispute arose when the building reached the level of the Black Stone. They differed on the issue of who was eligible to restore the Black Stone to its original place. A civil war was about to break out. Banu Abdu’d-Dar brought a bowl full of blood and all of the tribes inserted their hands in it, which meant that they had made up their minds to fight one another. But Abu Umayya Ibn al-Mugheera , their elder, asked Quraysh to agree on the judgement of the first person to come through the Bani Shaibah gate and they all agreed on this suggestion. The first to come through this gate was the Prophet (ﷺ). This was five years before his mission. He put the Black Stone in the middle of a piece of cloth, and asked a representative of each tribe to hold one of the edges of the cloth and raise it close to its place. Then the Prophet (ﷺ) picked it up with his own noble hands and restored it to its original place. This was how the Prophet (ﷺ) prevented a war from breaking out among the Quraysh by a supreme demonstration of wisdom. Umar (may Allah be pleased with him) once kissed the Hajar al-Aswad and said, “I know well that you are just a stone that can do neither good nor harm. Had I not seen the Prophet (ﷺ) kiss you, I would not have done so.” Umar (may Allah be pleased with him) made the statement because there were many people who were newly converted to Islam and he did not want them to get the impression that Muslims also revered stones as the Arabs revered and worshipped stone idols during the Period of Ignorance. Umar (may Allah be pleased with him) made it clear that he was following the Sunnah practice of the Prophet (ﷺ) and that although the stone is blessed, it can do neither harm nor good. Six (additional) pieces are claimed to be in Istanbul, Turkey. One is displayed in the mihrab of the Blue Mosque, one above the entrance of the tomb of Sulaiman the Magnificent and four in the Sokullu Sehit Mehmet Pasa Camii mosque (one over the mihrab, one below the lower pulpit, another is above the upper pulpit and the last is over the entrance door). The authenticity of these additional pieces has been questioned, although the Turks did rule over what is now Saudi Arabia for many years and hold many historical Islamic relics. And Allah (ﷻ) knows best. Note that when kissing the Hajar al-Aswad, one should neither push people nor harm anyone because while kissing the Hajar al-Aswad is Sunnah, causing harm to people is a forbidden act (haram). When the area is crowded, it will suffice to merely point towards the Hajar al-Aswad with one’s hand or a stick while reciting the Takbeer and then to kiss the hand or stick. Although the Prophet (ﷺ) kissed the Hajar al-Aswad directly, he also pointed towards it when the area was crowded, it is therefore clear that both kissing it and pointing towards it are Sunnah.